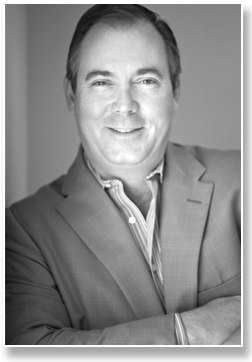 Dr. Stephen Prendiville is recognized as the facelift expert serving Ft. Myers, Naples, Port Charlotte, and Punta Gorda. 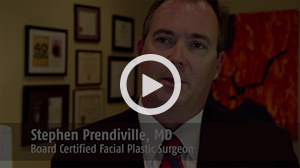 Trained exclusively in surgery of the head and neck, Dr. Prendiville offers the latest advances in facial plastic and reconstructive surgery. Procedures include reconstructive surgery after skin cancer removal, and mole removal. In addition, Dr. Prendiville performs a wide range of minimally invasive and surgical procedures for facial rejuvenation. These procedures include, but are not limited to facelifts, rhinoplasty (surgery of the nose), blepharoplasty (eyelid lifts), skin rejuvenation lasers, neuromodulators such as Botox®, Dysport®, facial volumizers such as Sculptra®, Voluma®, and injectable wrinkle fillers such as Radiesse®, Juvederm®, Resylane®, and Perlane®, and minimally invasive soft tissue tightening techniques like Ultherapy®. This extensive range of surgical and non surgical procedures are performed in office and in our state of the art surgical center, which is accredited by the American Association for Accreditation of Ambulatory Surgical Facilities (AAAASF). Dr. Stephen Prendiville serves the Southwest Florida area. He is the only Fellowship Trained and Double Board Certified Facial Plastic Surgeon in Fort Myers – certified by the American Board of Facial Plastic and Reconstructive Surgery and The American Board of Otolaryngology, Head and Neck Surgery. You can expect natural looking results–with the latest advances, the greatest respect and treatments tailored to your personal goals. Just mention “April Specials” when booking. Can not be combined with other discounts. Can Not use SpaFinder or SpaWeek Gift Cards on any special offers. Thank you for doing such an excellent operation on my face. It is one month today since you operated.